Denver calling? : Mike McMeeken, one of Daryl Powell's Castleford players who is in contention to play for England against New Zealand. 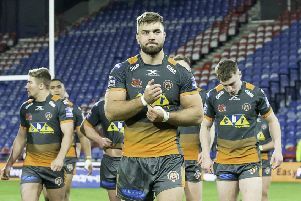 CASTLEFORD Tigers’ coach Daryl Powell has labelled the NRL “selfish” and backed England’s Australia-based players to be “strong enough” to stand up to clubs as the row over the Test in Denver intensifies. The Rugby Football League have taken the unusual step of issuing a letter on behalf of England head coach Wayne Bennett and his eight NRL-based internationals urging their clubs to throw their weight behind the June 23 match against New Zealand in Colorado. The NRL, their clubs and their player association are on the verge of signing off a joint-letter indicating they will not support the match despite it having the full backing of the RFL and NZRL. Potentially that would prevent the release of players such as South Sydney star Sam Burgess and St George-Illawarra duo James Graham and Gareth Widdop as well as almost the entire New Zealand side, putting the historic game in jeopardy. There are suggestions the NRL will argue there are “safety concerns” for players playing at altitude in Denver – which have been shot down by Burgess and others in the Australian press. The Test is scheduled during the international mid-season window and promoted by Australian Jason Moore as part of the build-up to the 2025 World Cup due to be held in the USA. Powell, the former Great Britain international who coached Ireland previously and has also been an England assistant, told The Yorkshire Post: “I think the Australian NRL is very selfish. “It’s ridiculous. It’s a big game in a big part of the world with a massive potential growth area for the sport. Why would you not want to support that? They (NRL) play brutal games over there in terms of State of Origin and guys back up from them all the time. “But this somehow seems to be different to them. It doesn’t really make sense to me. Burgess, who captained England in the World Cup final last December, has suggested the NRL might be taking their stance to help keep Australia at the top of the international game. As the furore continues, NRL-based England players could find themselves at odds with their own clubs come June 23. But Powell said: “I think the players are strong enough to make their own minds up. “I’ve never been a believer in trying to stop someone playing international football. “When I’ve been in the Championship I’ve had players for Scotland, Ireland and Wales and they’ve played with my blessing. “I remember when I was at Leeds, Keith Senior wanting to play in the Nines and the Nines was not a massive competition, but he went with our blessing. The letter – signed by Bennett plus Burgess, George Burgess and Tom Burgess (all South Sydney), Graham and Widdop, Newcastle Knights’ Chris Heighington and Canberra Raiders duo Josh Hodgson and Elliott Whitehead – says: “We would like to place on record our absolute support for the upcoming Rugby League International game between England and New Zealand, scheduled to be played in Denver in June. “We all collectively said at the time it was important we took the opportunity to try and grow the game globally and believe this mid-season window provides the perfect opportunity for the sport to showcase itself to a new public in North America. 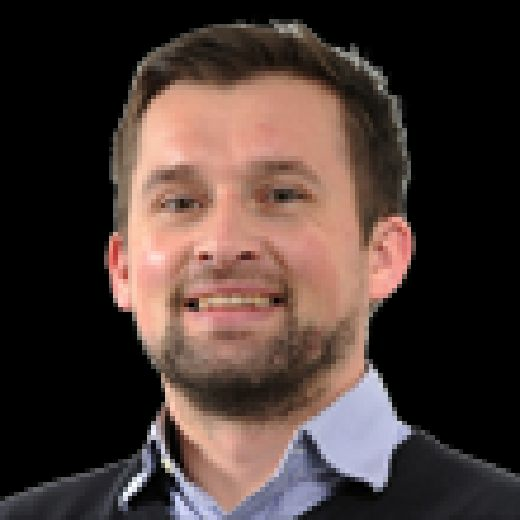 Whilst we understand there have been some concerns regarding player welfare, the England Chief Medical Officer, Dr Chris Brookes, has made it clear to us he has no additional concerns with this game being played in Denver and the insurance that has now been put in place is more comprehensive than any other in the history of International Rugby League.